A new TV chat show is aiming to demystify the legal profession by speaking to those who work in it. 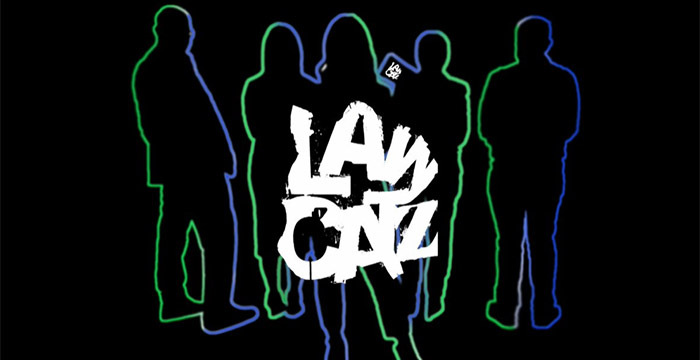 The programme, LawCatz, hopes to provide viewers with an easy-to-understand analysis of common legal problems, as well as expert guidance on how the law works and what it all really means. The show’s creator, London-based costs specialist Michael Kain, has drafted together a team of top lawyers to act as LawCatz experts, including Hardwicke barrister PJ Kirby QC and family law expert Katie Smith. Meanwhile, presenter Rachel Hatton (who has no legal background) will be on hand to reprimand the experts if they use technical legal jargon that risks confusing viewers. The first pilot episode of the show is due to air this October on Sky (channel 455), according to Kane. If successful, the first series is scheduled to hit TV screens early next year. So what can viewers expect from the show? Well, Kane has told Legal Cheek that the first pilot episode will include an explanation on the differences between barristers and solicitors, the laws concerning wills and probate, and an analysis of case law classic Donoghue v Stevenson. The show’s Twitter account has already dropped several teasers in advance of the October pilot. In one clip, embedded below, Kirby QC discusses barristers’ horsehair wigs. If rolled out to a full series, LawCatz hopes to cover subjects including divorce, medical negligence and employment, as well as more topical issues such as Brexit. Law-themed TV shows have rocketed in popularity in recent years. ITV’s Judge Rinder, starring 2 Hare Court financial crime specialist Robert Rinder, has gone from strength to strength since it first hit TV screens in 2014. Meanwhile, Channel 4 produced a slightly more realistic take on courtroom life with its offering, The Trial: A Murder in the Family. More recently, channel Dave launched a new courtroom comedy series where the judge — played by comedian Romesh Ranganathan — pokes fun at the litigants. The post LawCatz: New TV chat show aims to demystify the legal world with the help of lawyers appeared first on Legal Cheek.